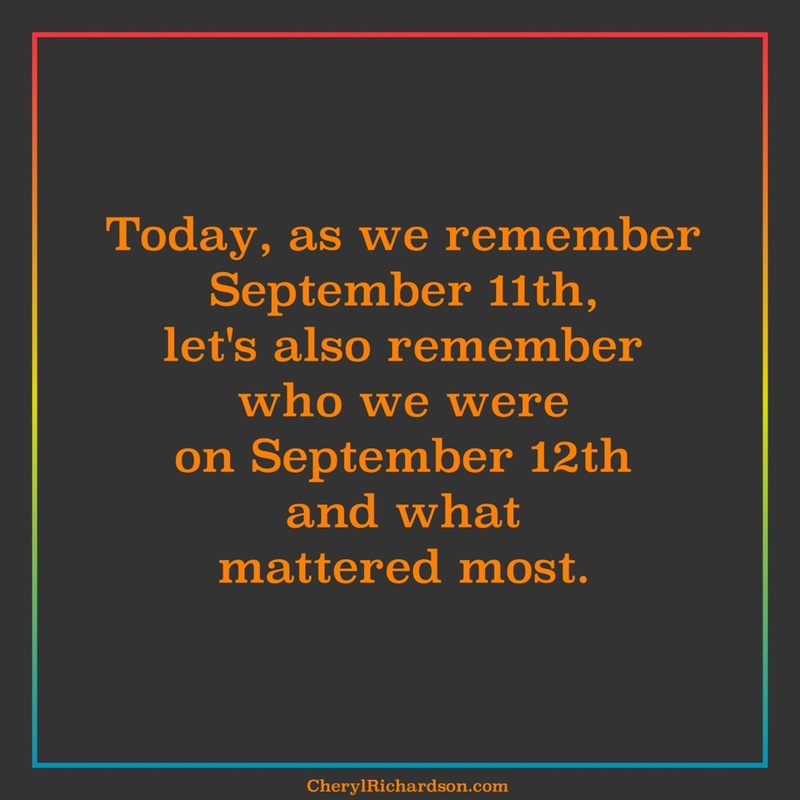 In keeping with a tradition of remembering those souls who lost their lives on September 11th and the families who loved them, I invite you to join me in spending some time today thinking about your life, your loved ones, and your priorities. Do the people you love know it? Are you spending your precious time and energy on what matters most to your soul? Are you being as compassionate and understanding toward others as you could be? It doesn’t take much to make life a little brighter for others. Find out how, here. Thanks, Robin !